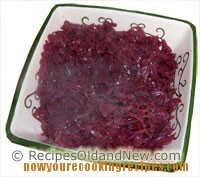 Sweet & Sour Red Cabbage - Now....you're cooking! 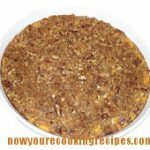 A great holiday side dish. Place butter, cabbage, apple and sugar in a large pot. Pour vinegar and water over. Stir in spices. Bring to a boil, then reduce heat, cover and simmer, stirring occasionally, until cabbage is tender (about 45 minutes to an hour).